Newport’s Riverside Centre was the venue for the Community Action Awards 2015. Guests were welcomed by Patricia Partridge, President of ‘Community Action IW at the Riverside’. Outlining the scheme Patricia said the Awards recognised voluntary groups on the Island. Although it had been a very good year for the voluntary sector there were pressures on the so-called ‘3rdsector’. From 47 nominations in 8 categories the judges, under Patricia’s guidance, drew up the list of 25 who were all visited by the judges in April. As Patricia said the Brighstone Christmas Tree Group was a challenge in April! Mike Bulpitt, CEO of CAIW at Riverside, who acted as master of ceremonies at the Awards, and Alan Marriott, Editor of the IW County Press (Main Sponsors of the Awards) were the other judges. There were joint winners of the sport category. Shanklin & Sandown Rowing Club which was founded in 1875 had revamped their boathouse in April 2014 and they have members who had reached Commonwealth Games level. Shanklin Rifle and Pistol Club dates from 1903 and has 100 members who use indoor and outdoor ranges and they have volunteer coaches who train young and older members. CAIW at Riverside were the sponsors of the Arts & Heritage sector. 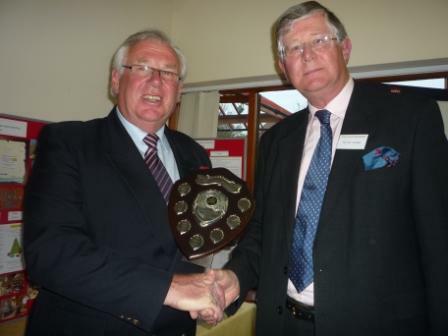 Here Northwood House Charitable Trust which was set up in 2010 was victorious. They care for the grounds and gardens as well as the house built in 1799 where they hold Open Days with guided tours. There is also a café in the Coach House. Village Halls & Community Buildings is sponsored (appropriately) by Norris & Fisher Insurance Brokers, based in Southampton. 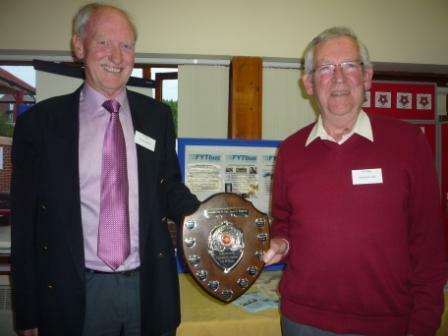 A relatively new group, the Aspire Ryde Community Project was rewarded. Based in deconsecrated Trinity Church the 50 group volunteers cater for 500 users. With a new kitchen there is a café in the crypt. In the environment section, sponsored by AONB, National Trust (IW) came up trumps. Highlights of the year included facilitating many twitchers seeking the bee eater and a goat round-up on Ventnor Downs. Island Healthcare funded the Older People class with Age UK IW being recognised. They were congratulated for their very successful Good Neighbour scheme. 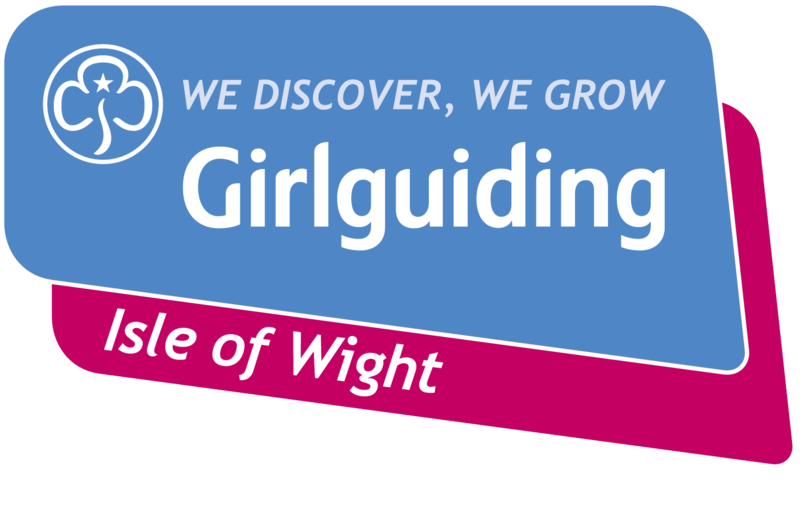 Children & Young People’s division was supported by the IW Community Fund and won by the IW Scout Association Adult Training Team who arrange trainings for groups and individuals. Largest category was Local Communities with the IW Council as sponsor. FYT Bus formed in 2011 runs three buses and has 25 enthusiastic volunteers. Two new buses have been ordered to cover the Freshwater- Yarmouth-Totland routes. IW Clinical Commissioning Group championed the Healthy Lives division. Formed three years ago Care in the Garden got the nod. They are based as Palmers Brook Plant Nursery and have 26 gardeners a number of whom are on ‘personal budgets’. 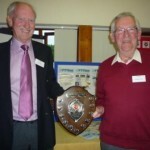 Overall, FYT Bus (members pictured above) was deemed the best group with Age UK IW the runners up. Chris Goodman, the driving force behind the annual Brighstone Christmas Tree Festival was given the Judges’ Special Award for his high level of enthusiasm. 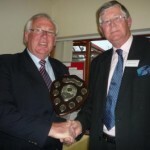 Robin Freeman (Chairman IWCP) praised all the entries and congratulations to all entrants were expressed by Sir Guy Acland who presented the trophies. Chris Goodman is pictured with Sir Guy Acland.